Great Weekend Event! Discover Woodland Archaeology On Saturday. 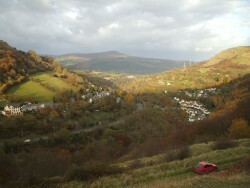 It’s fascinating to think that once trees covered every valley and mountain in Wales. Woodlands have always had an influence on the history of Wales and are a huge part of its cultural heritage. Around Forgotten Landscapes there is plenty of surviving archaeological evidence with the most obvious being earthworks and old structures. Some areas of woodlands have been left relatively undisturbed. There are some woods in the Forgotten Landscape area, which contain ditches and banks that can help us understand how our ancestors managed the land. Lots of woodlands have great archaeological value in their own right. Woodlands in the Forgotten Landscapes area were key to the rise and progression of the industrial revolution. Timber was essential for the mines and other industries. So this Saturday how about going on a tour around Forgotten Landscapes to discover the fascinating history and clear evidence of the woodlands in the area. This minibus tour with several short walks will explore archaeological features that relate to past woodland management in the Blaenavon area.